Home » Beauty/Style » Stoke vs united! Well that was absolutely freezing!! I totally hadn’t prepared for how cold it was today, one layer and a coat was Not enough! Bobbles was super cosy though in her snowsuit and bobble hat! I tested out my new hood dryer and rollers today and it worked great! Unfortunately the wind blew it straight within 20minutes! A cheeky eBay purchase for £5! 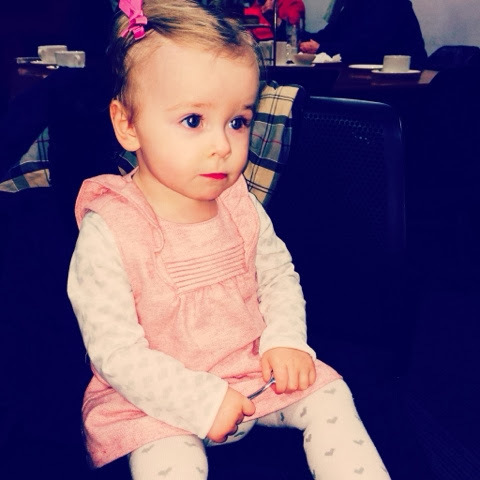 Little princess in her pretty dress from Nain…. Great game for stoke, they definitely deserved that win!